It’s hard not to stare at that baby blue “Eye”—particularly when it’s 30 feet tall. 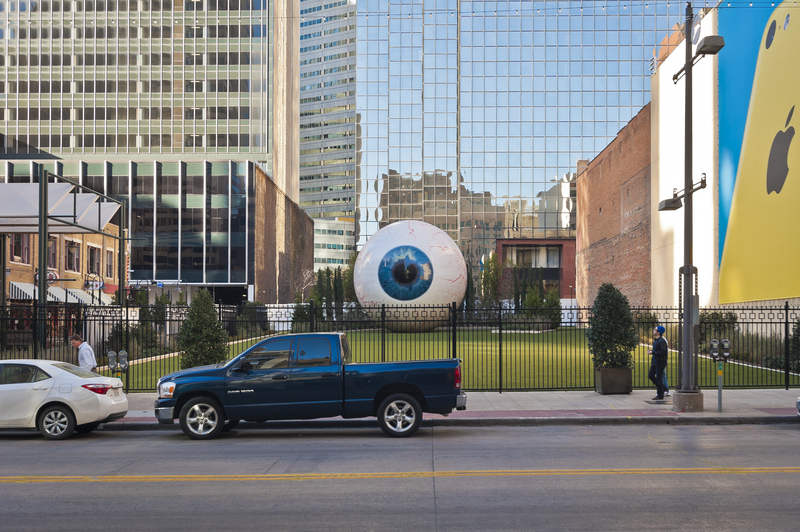 The “Eye,” created by Chicago artist Tony Tasset, has been peering across Dallas’ Main Street at the Joule Hotel since August. The “Eye” was first exhibited in 2010 in Chicago’s Pritzker Park. The sculpture, made of painted steel and fiberglass, was purchased by the developer Headington Companies and brought to Dallas as part of a multimillion-dollar renovation and expansion at the Joule, which houses a notable collection of contemporary art. The “Eye” is on display indefinitely on the site while Headington weighs its options for the lot. Tasset, who modeled the sculpture on his own iris, has produced a large body of multimedia work, ranging from a portrait of himself wetting his pants (yes, really) to a 94-foot-tall “Rainbow” at Sony Studios in California. Many of his most notable sculptures explore the idea of making art out of everyday objects. These include a series of dirty snowmen and a bronze piece that looks remarkably like a torn Styrofoam cup that someone might have thrown on the ground. 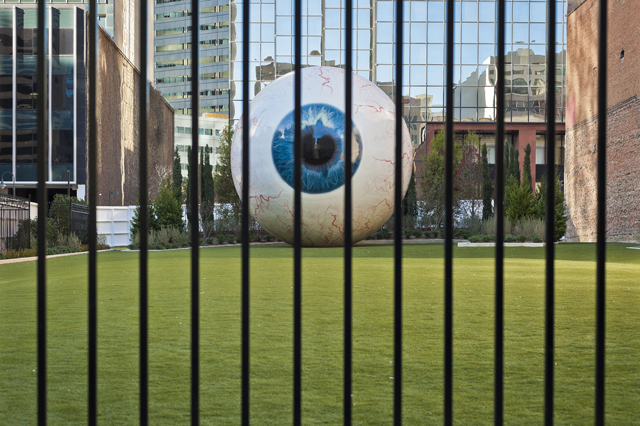 As public art, though, “Eye” suffers from the imprisoning fence, which alternates between tall, black spikes and solid wood panels. The public can’t experience the work fully as intended, at various scales or from all sides. Walking along Elm Street, only a few spidery, red veins from the back of the “Eye” ball are visible over the barricades; and there will be no Instagram posts of passers-by posing beneath it, pretending to be crushed. 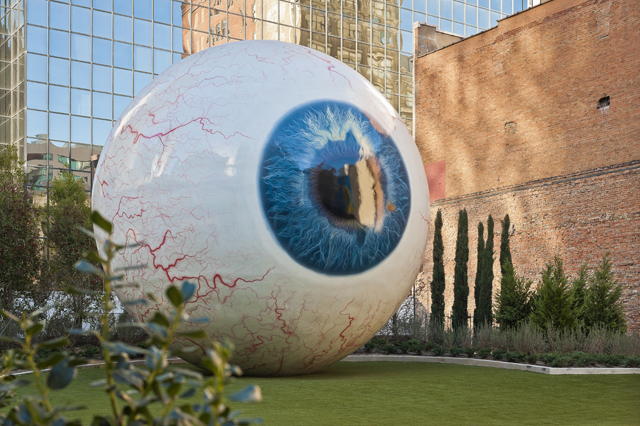 The “Eye”” may be a remarkable and vibrant addition to the Dallas streetscape, but ultimately, it’s not public art. It’s privately owned, and the owner feels the fence is necessary for security and privacy, as the Joule intends to make the space available for private events. Architecture lovers may also bristle at the installation not for what it is, but what it is not. The giant “Eye” and surrounding artificial turf rest on the grave of the Praetorian Building, the first skyscraper in the western United States. The 1909 building was unfortunately gutted and stripped in the 1950s and ’60s, leaving only the frame of the original building. It had been considered for redevelopment by different companies since 2005, but eventually Headington scrapped the idea as unfeasible and demolished the building last year. Maybe the “Eye” is a fitting metaphor for the site. We can set our sights on the past or on the future. The city landscape is a living, changing thing. Maybe it was time to let go of the sad corpse that had been standing in place of the once-magnificent Praetorian and embrace whatever comes next. 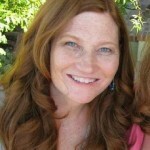 Cynthia Smith, Assoc. AIA, is with DSGN Associates. 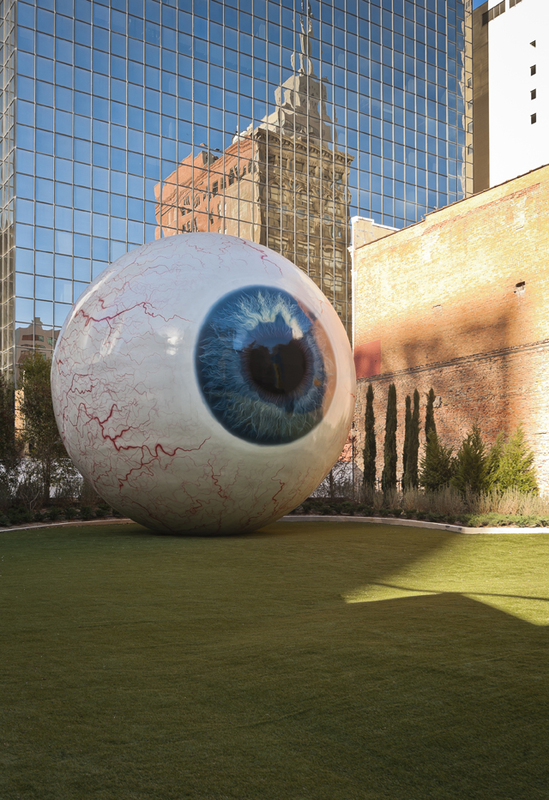 About 5 years ago: John M.
The Eye is an impressive work of art to have right in the center of downtown Dallas. However it is most unfortunate that it is enshrined in a classic suburban style setting, isolated behind an iron fence along Main Street, across a broad expanse of artificial green turf, in front of a backdrop of tall shrubs planted in front of a tall, solid wood fence along Elm Street, directly across from Thanksgiving Tower. Would that owner had chosen to share the Eye with its neighbors rather than send the message of Private, Keep Out. About 5 years ago: Nicholas M.
@ John M., I understand your concern, and the sentiment that a "public art" should be, above all, accessible to the public... However, in this case I think it could be possible that the fence, and artificial grass lawn could be considered part of the artwork itself. If we frame the installation in this way, it becomes an integral part of the siting of the sculpture, and has the potential to comment on (or even criticize) the "classic suburban style setting" to which you refer. In a way, the fence might convey the metaphor that the art world is a "gated community" -- is this true in Dallas? I'm not sure. But, I am particularly interested in the concept of this suburbanality in the immediate context of dense urbanality, and find it within the realm of possibility that this was precisely the artist's intent. About 4 years ago: Cindy S.
That's an interesting thought, but the fence was the Joule's idea, not the artist's. In fact, Tony Tasset created the sculpture for a specific site in Chicago's Pritzker Park, where it was originally displayed without a fence. Headington Companies later purchased the piece and had it installed at its current home across from the Joule. The company said the fence is for security and that the space is for private, paid events. Tasset has said before that "the Eye is just an eye." And apparently the fence is just a fence.